St Louis, MO – February 15, 2017 – ITC Systems has confirmed a partnership with Yakima Valley College that has resulted in a campus-wide commerce solution. ITC Systems has decades of experience in campus card solutions for colleges and universities, and company CEO Campbell Richardson says he’s honoured by the YVC’s decision to bring its business to his company. Mr. Richardson says he expects it will take time to consolidate YVC’s existing systems and implement new contactless payment technologies that are consistent with those coming on-stream in the world of retail. The project involves snack/beverage vending, bookstore purchases, dining purchases, printing/copying, and other student facing commerce transactions. For the ultimate in convenience, the students and their parents are able to add value to the students account online using a debit/credit card. YVC’s choice of the ITC Systems’ Multiplan online student account solution means students will have one card for all transaction payments across campus. The DESFire contactless card will function like a debit card where transactions are recorded in real-time through an online account hosted by the university. Students will also be able to check their account balances at any time through the web, while administrators can obtain the technical reports they need online. Mr. Richardson says the ITC Systems’ team and YVC’s project team is looking forward to working together this year and beyond. “Campus card solutions are important for everyone on campus and we all appreciate the opportunity to make a difference,” he says. 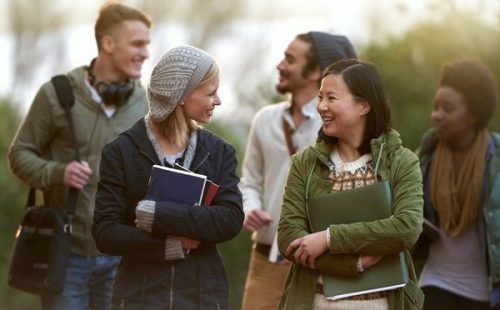 ITC Systems serves colleges, universities and a host of other market segments by providing products and services focused on campus ID card privilege control, access control, and copy and print control. The company also offers card-related products and services for food service, laundry, and other institution-wide sectors. Founded in 1989, ITC Systems maintains a large dealer network throughout North America and internationally, and it is the industry’s dominant Original Equipment Manufacturer (OEM). To learn more about ITC Systems, please visit www.itcsystems.com. Yakima Valley College is one of the oldest community colleges in the state of Washington. Founded in 1928, the college has a long tradition of quality in teaching and in its commitment to students. Yakima Valley College employs a talented and dedicated faculty whose primary interest is in delivering the best possible instruction to students.